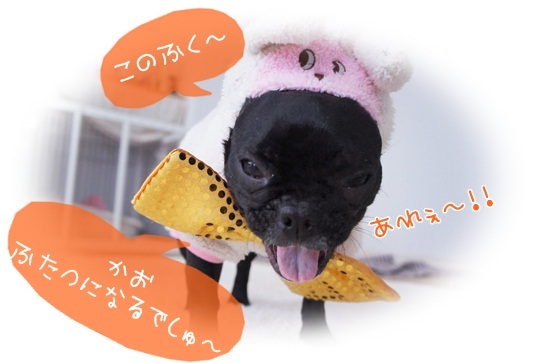 As per usual, please excuse my rough translations from Japanese to English, but given the universal language of cute the adventures over at Buchiru Blog are definitely worth sharing. The three stars: BuBu, Rucoa, and Cheru have their antics, outfits, and friends documented (complete with captions), much to my delight! 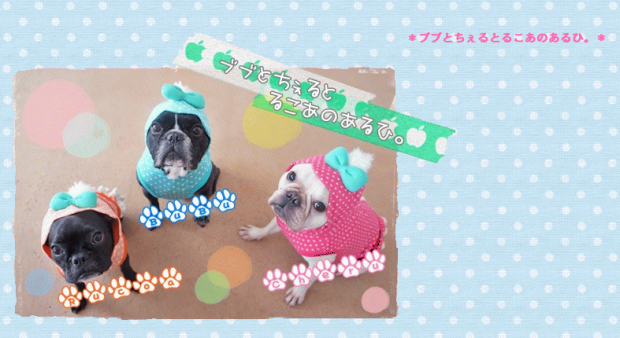 So be sure to check out these Frog Dogs from the far east in all their glory! 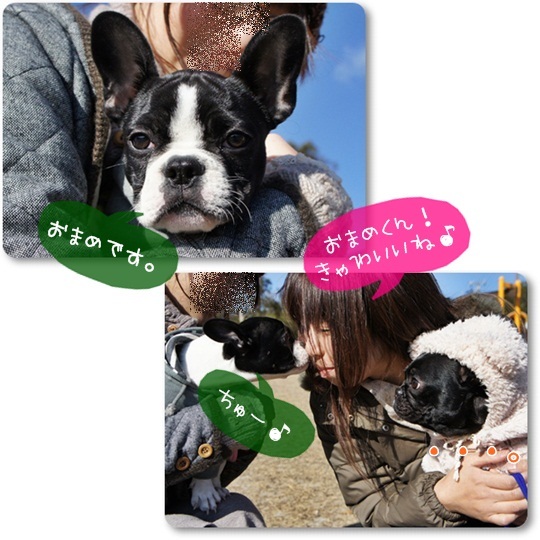 Click here for more of batpig’s frog dog favorites from Japan!